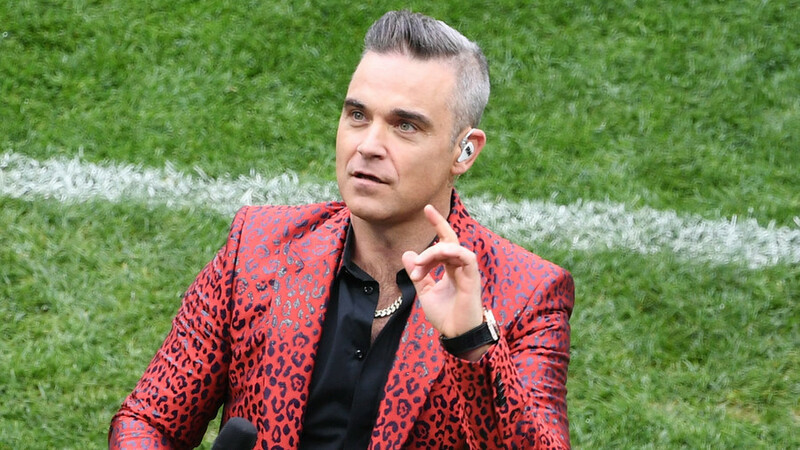 UK pop star Robbie Williams has revealed why he showed the middle finger to millions of people around the globe during the World Cup 2018 opening ceremony. 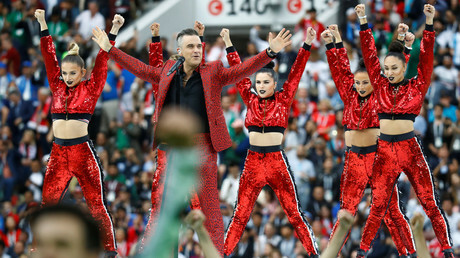 The former Take That singer gave the single-digit salute while on camera at Moscow’s Luzhniki Stadium for the lavish ceremony which kicked off football’s showpiece event last week. The gesture sparked an international scandal, with speculation swirling over whom the movement was directed at. Williams had received criticism for appearing at a ceremony from the usual Russia-bashing suspects, and some interpreted the gesture as being directed at his detractors, or even some of those in attendance at Luzhniki, including Russian President Vladimir Putin. However, the 44-year-old pop veteran explained on ITV’s ‘This Morning Show’ that he was giving the signal that there was one minute to go until kick-off. “I was under a lot of pressure because there was one minute left, and I didn’t know how I was going to do a half a minute countdown, so I just did a one-minute countdown,” the hit-maker said with more than a hint of jest. When asked by co-host Phillip Schofield whether he regretted the act, Williams said he wasn’t fully in control of his actions. “I can’t trust me. I don’t know what I’m going to do at any time,” the football-mad singer said. “There was no sort of plan. The plan was, sing in key, don’t fall over. “Nothing actually pops into my head, it’s like there’s a block between me and sense… then something happens, and five minutes later I’m like, ‘Did I…? Yeah, I did,’” the ‘Party Like a Russian’ star added. Williams was joined at the ceremony by Russian opera singer Aida Garifullina and the pair entertained the 80,000 fans in attendance and millions watching at home with a medley of hits amid a spectacular dance and light show. Williams said it had been a dream come true to be asked to perform at the ceremony, but is unlikely to be the offered the chance of an encore on football’s biggest stage.